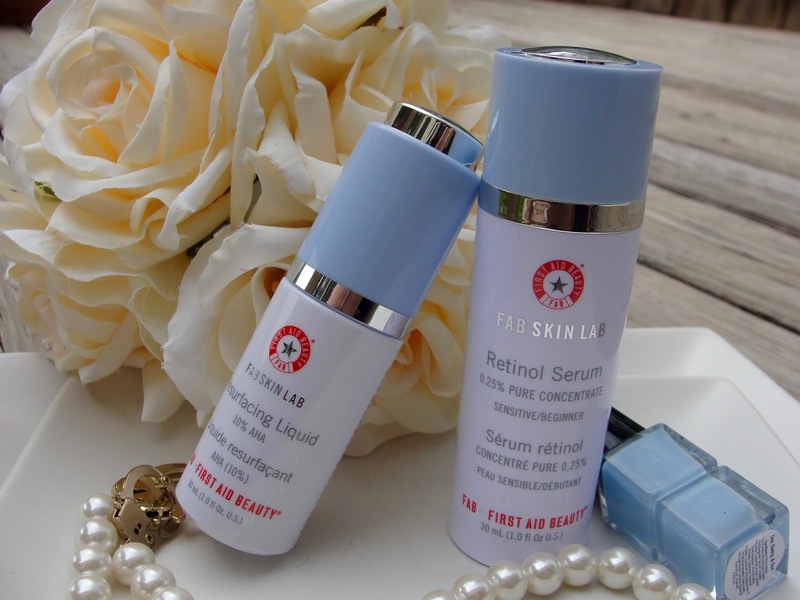 Today I have a review of the First Aid Beauty Fab Skin Lab Collection which consists of the First Aid Retinol Serum (0.25 % pure concentrate) and the First Aid Resurfacing Liquid (10 % AHA). 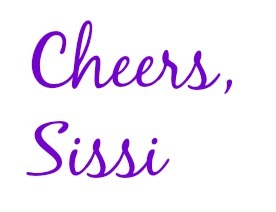 Let´s find out how I liked them! 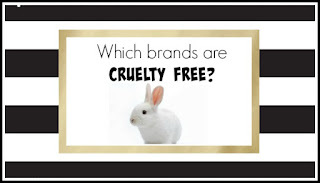 First Aid Beauty is of course a cruelty free brand! 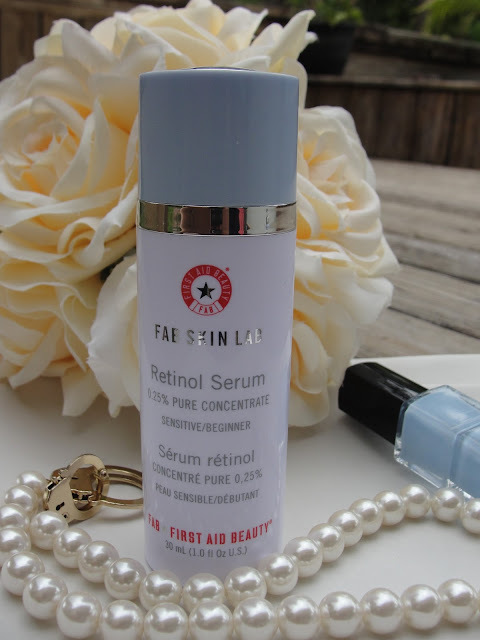 But the First Aid Retinol Serum is gentle enough to not get any irritations- yet it will still give you the right amount of effectiveness to get rid of fine lines. 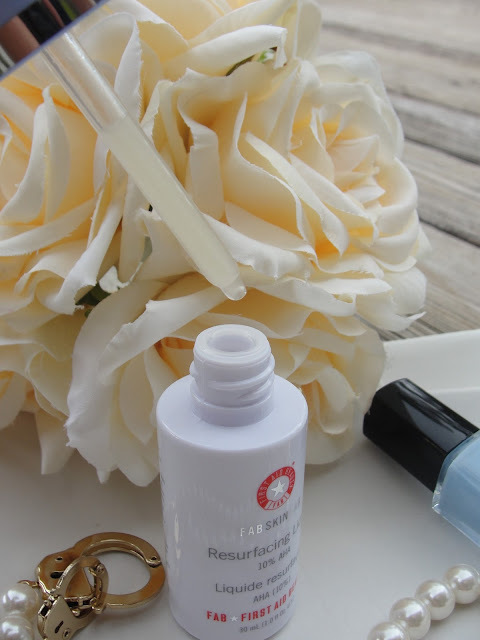 It also contains Peptides that help skin appear more youthful. You should apply Retinol only at night and don´t forget to wear sunscreen during the day, as Retinol will make your skin more suns sensitive (which can lead in an uneven skin-tone). It is a creamy yellow lotion that is very easy to apply (some Retinol serums can be a hassle to apply evenly- not so with this one) and even feels moisturizing. No detectable scent. Ingredients: Water, Polysorbate 80, Caprylic/Capric Triglyceride, Polysorbate 20, Butylene Glycol, Persea Gratissima (Avocado) Oil, Glycerin, Dimethicone, Retinol, Magnesium Ascorbyl Phosphate, Colloidal Oatmeal, Tocopherol, Hydrolyzed Hyaluronic Acid, Ceramide NP, Acetyl Hexapeptide-8, Linoleic Acid, Allantoin, Phytosteryl Canola Glycerides, Palmitic Acid, Oleic Acid, Glycine Soja (Soybean) Oil, Hydroxypropyl Cyclodextrin, Aloe Barbadensis Leaf Juice, Triolein, Caprylyl Glycol,Acrylates/C10-30 Alkyl Acrylate Crosspolymer, Xanthan Gum, Lecithin, Stearic Acid, Maltodextrin, BHT, BHA, Phenoxyethanol, Sodium Hydroxide, Potassium Sorbate. 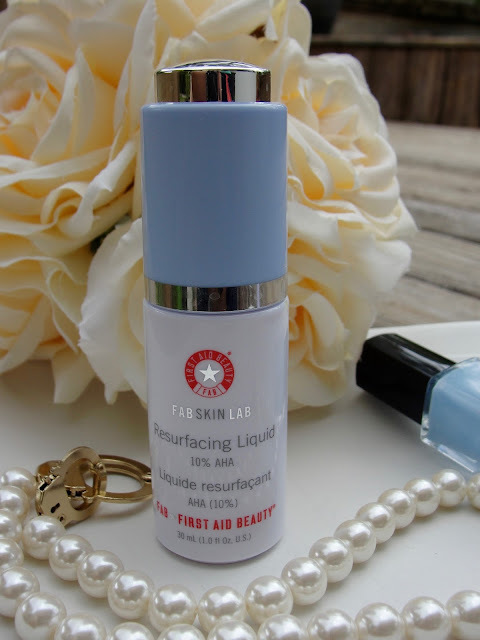 The First Aid Resurfacing Liquid contains a 10% AHA blend of Glycolic, Lactic, Tartaric and Malic Acids that work altogether to exfoliate and reveal younger-looking skin. I swear absolutely by Glycolic Acid. It also contains Licorice root an mulberry root as well as lemon peel extracts to brighten your face even more (get rid of brown spots). Oh yeah and if that still wasn´t enough good stuff: there is more! 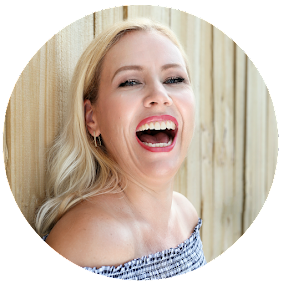 It also contains Hyluronic Acid (you know to plump up your tired skin cells), and Vitamin C and E, Aloe, Oatmeal, Allantoin and Ceramides! Holy anti-aging goodness! Is there anything missing in this fabulous Resurfacing Liquid? I don´t think so! It is a thin liquid and you only need a thin layer on your face. It takes a couple minutes until absorbed- so in case you need to apply a moisturizer on top, wait it out until it dried to avoid that your skin feels sticky. Ingredients: Water, Polysorbate 80, Glycolic Acid, Butylene Glycol, Caprylic/Capric Triglyceride, Sodium Hydroxide, Malic Acid, Tartaric Acid, Lactic Acid, Citrus Limon (Lemon) Peel Extract, Colloidal Oatmeal, Magnesium Ascorbyl Phosphate, Hydrolyzed Elastin, Papain, Hydrolyzed Hyaluronic Acid, Soluble Collagen, Avena Sativa (Oat) Kernel Extract, Triolein, Ceramide NP, Cucumis Sativus (Cucumber) Fruit Extract, Glycyrrhiza Glabra (Licorice) Root Extract, Morus Alba Bark Extract, Phytosteryl Canola Glycerides, Allantoin, Lecithin, Lysolecithin, Oleic Acid, Palmitic Acid, Maltodextrin, Aloe Barbadensis Leaf Juice, Glycerin, Tocopherol, Glycine Soja (Soybean) Oil, Caprylyl Glycol, Linoleic Acid, Sclerotium Gum, Xanthan Gum, Pullulan, Mica, Stearic Acid, Leuconostoc/Radish Root Ferment Filtrate, Silica, Phenoxyethanol, Chlorphenesin, Disodium EDTA. Enter to win the First Aid Beauty Fab Skin Lab Collection. This is a $113 value! Please follow @firstaidbeauty on Instagram to enter!